I was on a skype call with “Anna” (names changed to protect privacy) who was having trouble keeping up with our conversation because she had terrible brain fog. 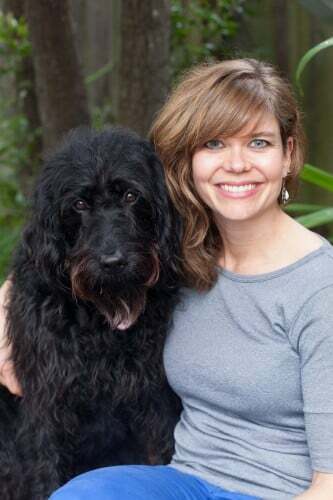 She’d been battling chronic yeast infections and UTIs for years and had been bounced from doctor to doctor with nothing more than prescriptions for anti-fungals and Diflucan. She was tired all the time, depressed and anxious about her health issues, and had been on a strict diet for months. But nothing was working. It was affecting her relationship with her boyfriend. “Generally speaking I really don’t have the life I want,” she told me. She was hopeful we could figure out how to get rid of her chronic candida for good. Candida overgrowth is the most common gut issue I encounter with people in my practice. And my two epic candida posts, how to get rid of candida and the biggest mistakes in treating candida, are among the most popular on this site. Candida can cause diverse and confusing symptoms, and it’s often very difficult to eradicate, especially once it’s become chronic. If you’re searching online for candida cleanse, you’ll probably come across as many differing protocols as there are fingerprints. Most include strict diets or fasts. Designing the perfect candida cleanse depends on you and your health status. My guidelines are general, and I DO NOT recommend the traditional, very strict zero sugar candida diet, which can actually make you feel worse and isn’t the most effective gut healing diet. You read that correctly. If you’ve been battling candida for a long time, consider getting help. 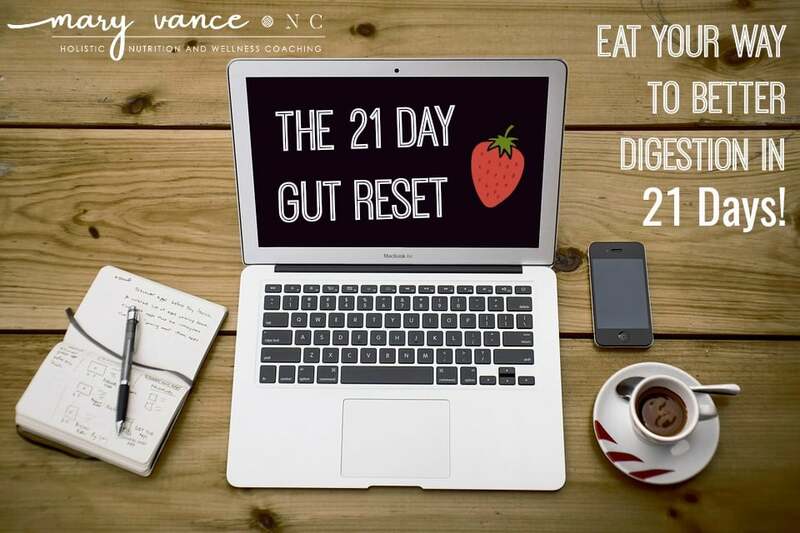 It can be very frustrating navigating the inner ecosystem of the gut alone, and these protocols and diets need to be customized based on your health history and biochemical individuality. That’s why I designed an entire course on how to get rid of candida. Check it out here. These symptoms are super non-specific, and can lead to an overdiagnosis of candida. People are often convinced they have candida when the symptoms could actually indicate another bacterial overgrowth, or they do have candida as a result of another primary gut infection. That means there is more than one gut issue present, and the two may need to be treated separately. That’s why it’s important to run a stool test to see exactly what’s going on in there. I recommend the GI MAP stool test which you can order here. As we say in functional medicine: Test; don’t guess! I was not surprised that in all the doctors Anna had seen, not one had recommended a stool test. I’ve had many of my clients tell me their doctors don’t think candida is real, and their doctors are happy to write them prescriptions for their chronic yeast infections, or give them antibiotics for their chronic urinary tract infections without helping them figure out the causes. That said, if you have a white coating on your tongue; you have taken or are taking hormonal birth control; you’ve taken frequent round of antibiotics; you’ve had mold exposure or mold overgrowth in your home; you have recurrent vaginal yeast infections or recurrent vaginitis; you have nail fungus; you have chronic brain fog, bloating, and sugar cravings, you could benefit from a candida cleanse. Humans should have about 90 percent beneficial bacteria to 10 percent pathogenic and opportunistic bacteria in the large intestine, but this ratio is heavily skewed unfavorably. There are around 500 species of opportunistic bacteria, but our beneficial flora should keep them in check. Opportunistic bacteria take over the good bacteria when the opportunity arises. Modern processed junk food diets, medications, alcohol use, hormonal birth control, and sugar/soda intake allows the opportunistic bacteria to overtake your beneficial gut flora. Most of us can benefit from a candida cleanse once yearly to keep gut flora in the proper balance. Make sure to check out my FREE video series on the top tips you need to know for kicking candida! First off, let’s clear something up: it’s normal to have some candida strains in your gut. There are around 20 different strains of candida (source). Candida albicans in the most common species and is one of the opportunistic pathogenic yeast strains in the gastrointestinal (GI) tract and mouth in 40 – 60 percent of healthy adults. (source) It is usually commensal, meaning it makes up a normal part of the human GI tract, but it can become pathogenic under the right circumstances (which is why it’s opportunistic, as mentioned above). When it takes over and makes an unpleasant party in your gut, symptoms arise, usually bloating, sugar cravings, yeast infections, and fungal infections. Candida can become invasive and systemic in immune compromised individuals (such as HIV infected patients), and invasive candidiasis has a 40 percent mortality rate. (source) We’re talking about candida overgrowth in the digestive tract, not systemic candidiasis. As mentioned, I recommend everyone with digestive issues do a stool test OR a gut profile with a company like Biohm (they even have a candida specific profile). I use the GI MAP stool test which has PCR technology that is more sensitive than conventional tests. It’s really better to know what you’re aiming at before you fire. But if you have a history of antibiotic use (just one round of antibiotics can alter your gut terrain); you’ve taken or are taking hormonal birth control (yeast infections are more common in these women); you have a history of sugar or alcohol abuse; or if you have any of the previously mentioned chronic symptoms, you need a candida cleanse. If you have chronic IBS or IBD, yeast overgrowth may worsen your symptoms (source). Candida can also cause and worsen leaky gut syndrome because it produces toxins, such as aldehydes (source), that penetrate the lining of the small intestine. Candida overgrowth in the gut (that’s not systemic candidiasis) isn’t really acknowledged in conventional medicine, but that doesn’t mean it can’t exist. (side note: conventional medicine also historically dismissed leaky gut as holistic quackery, but has now recognized it as a major contributor to GI and metabolic disease). Your microbiome is a delicate ecosystem that can very easily be altered by external factors, as all ecosystems are. The factors I’ve mentioned, such as antibiotics and hormonal birth control, adversely affect your microbiome and allow opportunistic strains of bacteria, fungus, and yeast of all types to proliferate. I’ve seen dramatic turnarounds in people’s health once they’ve addressed gut infections and dysbiosis. OK, On to the good stuff: How to do a candida cleanse. This is similar (but not as detailed) to the protocol I recommend to my students in my Candida MasterClass. PRO TIP: Diet alone will not work to fully eradicate candida overgrowth. You have to take the antimicrobials and follow the protocol. PRO TIP #2: Certain antimicrobials work better in some people than others. It depends on the severity of the overgrowth, resistance of the yeast and fungus to certain herbs, and what else is going on in the gut. Some stool tests will tell you which herbs are most effective against the specific strains of yeast and dysbiotic bacteria present. Step One: Prepare. You’ll be doing this program for 4 – 8 weeks, so take some time to mentally prepare and to gather everything you need. How do you know how long to do the protocol? If your symptoms are mild, 4- 6 weeks is good. If you’ve been battling chronic candida for a long time, 8 weeks. Do not take the herbs longer than 8 weeks. After 8 weeks, you need a break before starting more herbs. Step Two: Diet & supplements. The diet is tricky in that there are a million suggestions on what is best. You’ll typically see to avoid sugar, gluten, and yeast (like in bread). Many of the diets are extremely restrictive. No, you do not need to exclude every starch like carrots and every single piece of fruit. I recommend a gut healing diet that excludes processed foods and polysaccharide starches. 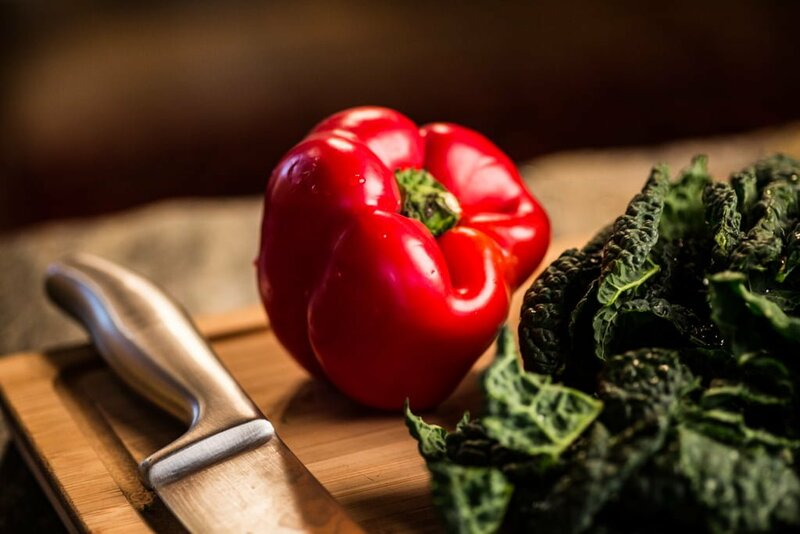 You can read more about my recommended candida diet in this post. Make sure you download my protocol below. I design customized diets for each one of my candida people, because there isn’t a one size fits all approach. The diet recs you’ll see are guidelines. You’ll need to adjust it depending on your needs. For example, the candida diet is often quite low carb, excluding fruit, all starchy vegetables, and all sugars. I don’t think this is always the best approach, because many people crash on a low carb diet, and women especially may not fare well going so low carb. The exception would be people with SIBO or other GI issues, but these types of restrictive diets should always be temporary! Going too low carb and excluding too many foods can cause further harm by starving your beneficial gut bacteria. So what should you eat and what should you avoid? I recommend avoiding gluten (preferably all grains), dairy (butter may be OK), sugar, difficult-to-digest starches like potato and sweet potato, and high sugar fruits. Gluten and dairy are gut irritants, and the more you can reduce sugar, the better. The rest will depend on you. You may need to exclude grains if you have more severe digestive issues or if you have IBS or IBD. You’ll also see recs to avoid condiments, mushrooms (fungus), vinegars, soy sauce, etc etc, and that’s all well and good if you want to go there. Again, it depends on the severity of your symptoms and how much you personally can take on. focus on clean (meaning organic, hormone- and antibiotic-free) protein such as eggs, poultry, wild, fatty fish (best option) like salmon, seafood, grass fed red meat. good fats: coconut oil (which may be beneficial for killing yeast), olive oil, avocado, butter if you can handle it. Butter is a great source of short chain fatty acids that are great for the gut, but if you react adversely to dairy, avoid it. plenty of vegetables of all kinds. Vegetables are key for building your microbiome. Emphasize the lower carb leafy green veggies and especially cruciferous, which aid in detox. Onions and garlic may help kill yeast also, and alliums are excellent for your beneficial flora. Regarding starchy veggies, potato and sweet potato are especially difficult to digest if you have an inflamed gut, but carrots, beets, celery root, butternut squash, and easier to digest starches are fine. You can see my recommended list here. green apples and berries (which are lower sugar and anti-inflammatory) are fine. Avoid tropical fruits which are high sugar. bone broth is a great gut healing addition. You can even kick off your cleanse with a 2 day bone broth fast if you’re really suffering. vegetarians: you can use lentils, black beans, and fermented soy (tempeh, occasional non GM tofu) as your primary protein source. Miso is OK too. Be aware that some people with gut issues cannot properly digest legumes. fermented foods: some people can handle em; others cannot. You’ll read a lot of conflicting info about whether to include fermented foods on a candida cleanse. I think small amounts are fine and beneficial, especially a little apple cider vinegar or a shot of coconut water kefir daily. But no kombucha! Here’s why. wake up, hot water with lemon. It’s best to avoid coffee on these gut healing cleanses, as coffee is a gut irritant. Green and herbal teas are ok. Ginger and peppermint are good for bloating. meditate (not a menu item, but stress relief is important) for 5-20 minutes. breakfast: 2-3 eggs scrambled in butter or olive oil with spinach and avocado. Add organic sausage if you need more protein. A low sugar smoothie with blueberries, avocado, coconut milk, and this immune boosting protein powder is fine also (vegan). Add collagen for a gut healing boost if you are not vegetarian/vegan. mid-morning tea: pau d’arco, freshly grated ginger, or peppermint. lunch: dinner leftovers from the night before. This could be a hearty vegetable and meat stew or leftover fish or meat and vegetables with a small serving of raw kraut (I like Farmhouse Cultures brand). mid-afternoon: shot of apple cider vinegar in a little water. dinner: roasted salmon with lemon wedges, swiss chard or kale cooked in coconut oil, carrot fries. Roasted Brussels sprouts or cauliflower rice are great menu items too. Notice I don’t include a lot of raw foods. That’s because people with gut issues don’t digest raw foods well, and cooked, warming foods are easier to digest and better on the belly. Your own milage may vary. Get Your FREE Candida Protocol! Note: these are guidelines. This protocol looks different for everyone in my practice dependent upon their health history and test results. 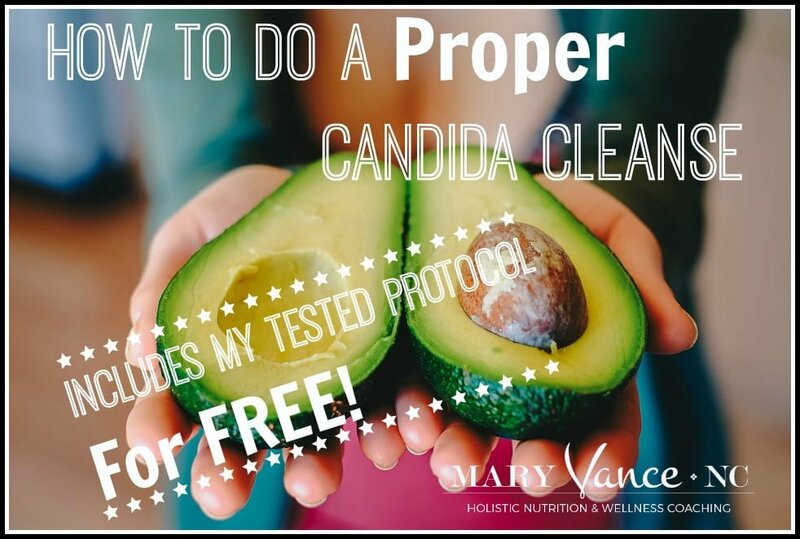 Download my FREE Candida protocol below, complete with dosages and everything you need to know here! Woohoo! This is the basic protocol I use for my clients and have never shared before. Great! Now check your inbox to confirm your sign-up and download your free cheatsheet below! Here are the products you’ll need (the dosages are in the free protocol above). GI MicrobX. You may need to work up to the recommended dosage slowly. It’s great because it kills both yeast and dysbiotic bacteria. I love Biocidin also. Molybdenum can be useful because it helps the liver process and remove aldehydes produced by candida. That’s the basic version. You can start here for 4 weeks, then switch to an undecylenic acid formula like Thorne 722 or Undecyn (best if you have recurrent vaginal yeast infections) for a couple weeks. PRO TIP #3: You may experience a Herxheimer reaction AKA die-off. This is fairly common and occurs as bacteria and yeast die during treatment. Your symptoms may worsen or you may feel flu-like, tired, bloated, brain foggy, irritable. Molybdenum should help, but if this happens, add in liver support and cut the dosages in half until it subsides. Drink a lot of water and pay mind to daily liver detox. For people with chronic yeast issues who have tried various cleanses that haven’t worked OR who have experienced bad die-off, you can rotate your herbs. For example, do the above protocol for a week, then the Thorne product for a week, then olive leaf extract and pau d’arco for a week, then start over again with the MicrobX protocol and so on. Rotate these for 6-8 weeks. You can do complementary products like a biofilm buster, pau d’arco tea, or colloidal silver for additional support. You can use a charcoal detoxer as needed for die-off. You may add and subtract these products as needed. Saccromyces Boulardii is another great support product. Take 3-4 before bed. It helps control yeast. You can also do a bone broth fast one day per week, especially if you’re having bad die-off symptoms. (note: you don’t have to make your own bone broth! I often buy Kettle & Fire, which is excellent quality). Ladies, if you have chronic or cyclical yeast infection or vaginal itching, irritation, or burning, try these boric acid suppositories. Biofilms act as a protective shield around yeast and other microorganisms, making it even more challenging to eradicate the yeast, because the anti-fungals/antibiotic herbs cannot get through biofilm matrix. (source) Biofilms are a polysaccharide matrix that protect the organism. This is how yeast protects itself from being destroyed. If you have chronic or recurrent candida, consider addressing biofilms before the anti-fungal protocol. I recommend n-acetylcysteine or Biofilm Defense (this one is free from egg; Interfase mentioned above contains egg white). You would take the biofilm disruptor 2-3 weeks prior to the anti-fungals to break down the matrix, allowing the anti-fungals to work more effectively. Step 3: Repair your gut. PRO TIP #4: Do NOT skip this step. In fact, skipping this step is the main reason people don’t have success with gut healing programs of any kind. Congrats, you made it through the hard part! Now you don’t want all your hard work to go to waste. Continue on the diet that is working for you and start leaky gut repair. You’ll also want to begin probiotic therapy for several months. I recommend rotating between several different brands so you expose your gut with different strains. 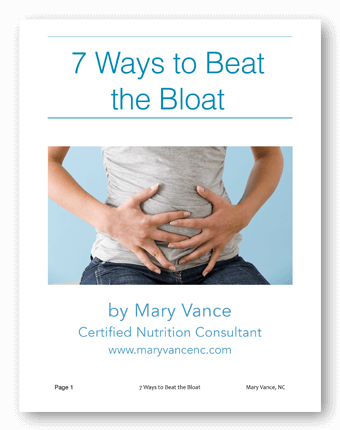 I recommend this one or this one to start, but if you have IBS, SIBO, or IBD, your recs will be different. Spend 2-3 months on step 3. Step 4: Do a liver cleanse. If you’re burned out by now, you can begin reintroducing foods and take a mental break. You deserve it! At some point you’ll want to do a liver cleanse, especially if you want to lose weight or still haven’t reached your weight loss goal. Candida is hard on the liver, and so is the die-off. So consider a 21 day detox. Here’s the one I recommend. It’s fun and easy! That’s it. I have an important bonus step for you also. This is probably the most important step. Step 5: Prevent reinfection. The focus of my work with people is to help them uncover the underlying reasons for their health issues. These programs won’t mean much if you don’t know how you got here in the first place. You need to determine what caused your candida overgrowth or why it’s chronic. This is another reason stool testing is recommended. Was it overuse of antibiotics? You can certainly overcome that with this program. A diet too high in sugars, or too much alcohol? Don’t go back down that street. Want to get off hormonal birth control? Here’s how. But if you’re not sure, it’s important to dig deeper and figure it out so it doesn’t recur. As you can see, the candida cleanse is time consuming and costly both mentally and financially. Fortunately Anna’s stool test came back fairly clean, but I noticed she had severely low levels of beneficial bacteria, likely from the countless rounds of antibiotics that had probably caused her chronic candida. Rather that get her started on yet another round of anti-microbial herbs, we worked initially to repair her gut, boost her immune system, and build up her beneficial flora with diet and probiotics before re-visiting the candida. She’s feeling much better already. I get a whole lot of email from folks asking me about how to do a proper candida cleanse, and my answer is typically don’t go it alone. As you can see from Anna’s case, each case has to be addressed based on the individual. If you’ve been battling candida for a while, or you don’t know what’s causing it, seek help from a practitioner. Consider joining my Candida MasterClass. It’s far less frustrating when you have help. And the reason you may not be finding success is because there’s something else causing the candida, or you haven’t found the right combo of diet and herbs that’s right for you. It’s very hard to self diagnose and really not recommended. I have almost 15 years of training in this field, and I still work with a naturopath when I need help because it’s really hard to treat yourself and navigate this stuff alone, especially without proper training (I’m looking at you, person who has spent countless hours at night after the kids are in bed pouring over internet searches). Final word: during this process, I encourage everyone to take a look at his or her stressors. Stress has a powerful impact on digestive health and can erode the gut lining. I even wrote an entire post on why lifestyle habits are critical for the success of any program. Let me know how your cleanse goes! And don’t forget to view my free candida training series here. What happens when several doctors don’t believe you. I have been battling this for years. You find a holistic practitioner who DOES listen to your symptoms and runs the right tests. There are millions of doctors out there. Find one who works with you. I know you can have eggs on the Candida diet, but aren’t those known to cause inflammation? I get confused with gut healing and treating candida. What are your thoughts on stevia since no sugar is allowed? I’ve heard that isn’t good for inflammation either. Should I not have any honey or maple syrup at all? otherwise, eggs do not cause inflammation (a popular myth) and are a great source of many nutrients such as choline, which is great for brain function. The point is everyone reacts to foods differently, and what could be a superfood for you could cause inflammation in another. A little stevia is fine. Monk fruit sweetener or xylitol would be OK too. The more you can limit other sugars, the better. Thank you for the clarification. That makes a lot of sense! One more issue I’m already on the thinner side and I’m wondering about eating butternut squash, sweet potato, etc while doing this cleanse. I can’t really afford to lose weight… I know some camps say you can eat millet, buckwheat and quinoa, but I’m concerned about that possibly irritating my gut (may be another misconception)? I am 49 years old and have been suffering from persistent halitosis for 5 years, how can I get rid of it? Is this something related to candida albican? Doctors doesn’t know what it is…..
My 18 year old daughter has candida. Her body builds immunities to all antifungals. Could you explain the dosages for Thorne and Olive Leaf extract in the rotating protocol? Amy, I don’t use the Thorne product in rotation. I use that one after the rotation. I’ll have people do the olive leaf for 5-7 days (1-2 3/x daily), then pau d’arco, then a full spectrum yeast/dysbiosis killer, and rotate between those for a month or so (these suggestions change based on the person. Sometimes oil of oregano or allicillin need to be added throughout). Then do a Thorne undecylenic acid product for 4 weeks or so. Stephanie, my practice is 100% virtual. Hi, thank u for the great post. What would u recommend as far as liver cleanse? I can’t drink olive oil and lemons, it’s really hard. I tried epsom salt it’s pretty hard too. My mom makes strong rosehips tea with lemon and drinks it, she said it’s easier. What do u use? I do not see the protocol with dosages, etc. anywhere on this site even though it says it is “…just below…” Could a link be posted to this page or this comment? Also, can candida form a resistance to biofilm disruptors? J, there is a hyperlink to the protocol, so click where it says ‘FREE Candida Protocol.’ I’ve not heard that candida can build a resistance to biofilm disruptors, but that doesn’t mean it can’t happen. This is super helpful Mary! I’ve tried boric acid for recurrent infections (wasn’t making diet changes then) and the first week it worked like a charm, felt like my old self but the second week it was back. That was about 2 months ago. Do you think it’s ok to try the boric acid again along with the other protocols you recommended? I don’t want to overwhelm my body with supplements and I’m not sure how frequently boric acid can be used. My doctor suggested 3 months of Diflucan but I’m trying to go a more natural route. Thanks for all the help! Hi Ashley, you can use boric acid (never take it internally, only vaginal suppositories) along with the protocols. you can use it as long as needed. Maybe I am missing it. But I downloaded the free candida cleanse and received an email, but in that download, I cannot find the dosages. I have been suffering with Candida for over six weeks. At first I followed a very restricted diet, gluten free, sugar free, fruitfree except berries in moderation, giving up fruits has been the hardest during the growing season. Starch free, orgainc chicken, grass fed beef. At first Idid not put anthing in my mouth that it was not on the list. I also take oregano oil, and vinegar. After a monthI cheated a bit with fruit. It has gotten better but can’t get rid of at all. What do you recommend I should try or do. I have gotten to the point that I have lost my appetite and don’t feel like eating the same things I have lost about 25lbs. Which I loved. HELP. Alma, I recommend you work with someone who can help you. You should also consider stool testing to get a picture of what’s going on in the gut. Do you recommend taking the supplements for Candida with food or just 30 mins before food or very far away from food say 1-2 hours? Shane, the downloadable protocol indicates when to take the supplements. For some it doesn’t matter, but some are better taken between meals. Do you recommend going on the cleanse even if you have a yeast infection in your breasts? I’m currently breasting feeding and we both have thrush which doesn’t seem to be clearing up with the antibiotics we’ve both been given? Also is it safe to do the cleanse while breastfeeding? Is there anything my baby needs to be taking too? I’m a little confused about the rotation part of the protocol. Do you take all the supplements (GI MicrobX, Allicillin, Oil of Oregano, enzymes, and Jarrow Sac B) TOGETHER for four weeks, OR do you take them individually for 5-7 days and work down the list? No, you cannot do this program while breastfeeding. The best you can do it apple cider vinegar and probiotics. Look into BioKult for your baby. I’m so thankful for your website! 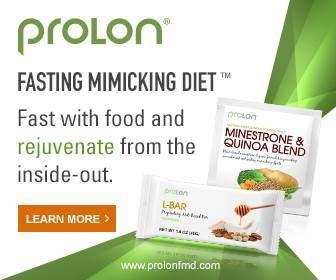 I am nearing the end of 4 weeks on the candida diet/cleanse. For the last 4 weeks, I have been taking GI Microb-X, Digestive Enzymes, Charcoal (first two weeks), Oil of Oregano, Garlic/Parsley, Pau d’Arco, Thorne, Apple Cider Vinegar, Coconut oil, Coconut Water Kefir and Probiotics. I’m looking to move on to Step 3: Repair your Gut. Prior to starting the diet I took the EverlyWell food sensitivity test so I have a good idea of those foods to avoid. Can you share anything else I need to start taking for Step 3? I found on your site to take GI Revive. Should I continue any of the things mentioned above besides the Probiotic? Many thanks for any further advice you can offer! Hi Era, everything I recommend is in the post. The GI Revive and probiotics are the basic guidelines for the gut healing phase, which you begin after the herbs. Beyond that it depends on your particular health status, so that would be a more customized recommendation. I sometimes have people take adaptogenic herbs, but I can’t make individualized recs without knowing your health history. I had a tooth abscess and went on a course of Augmentin 2 grams a day for seven days. Now I have a vaginal yeast infection and a urinary tract infection. The itching and burning is driving me crazy. I am drinking lots of water and start the day with lemon in water. Is there a topical treatment I can use to help alleviate the symptoms. I’ve had this problem for eight days. It seems to improve after applying an broad spectrum anti fungicide cream then flares up again. Poppy, you can try boric acid suppositories. I link to the brand I recommend in the post. Kedra, no, do each step separately. You can start the diet and supplements together, but the gut healing takes place after that, then you can do the optional liver cleanse. Suzanne, depends on which one you’re using… I use Interfase and Kirkman Biofilm Defense (and occasionally NAC) and follow the dosing directions on the bottle. Will those steps help to treat my vaginal itching. Laura, if it’s caused by candida, yes. Itching could have many causes and is best diagnosed by a doctor so you know what you’re dealing with and how to treat it. I am trying to understand. I’m in the cleansing phase now and can I eat olives, carrot, orange, greyfurt, kiwi and homemade fermented meat? We have gluten-free flour at home can we use it in the first phase? So do you need to clear your Candida first and worry about leaky gut second? Dilara, what you can eat largely depends on your health status and the health of your gut. It varies by individual. You should limit fruits and possibly eliminate grains (including gluten free flours and breads) if you have severe candida overgrowth, for example. But in general, olives, carrots are fine. Fermented foods may not be ok for everyone until after the candida is eradicated. Kim, yes. Working on gut healing does no good if there are still active bacterials infections or imbalances. I also want to know if I can use Byetta (type 2 diabet injection) and turkish coffee, and turkish black tea too? I am 74 years young and I would like to be able to print out all the information on your site about Candida. I am presently seeing a holistic doctor, but I like to compare protocols, etc and all the information I am seeing here. Hi Glenda, you can download and print the protocol by clicking the link. It’s a PDF. Is it okay if I use lasix and flaxseed, black tea and also turkish coffee? In second phase do we eat the same things with the first phase? Is there anything added to the food we can eat? Hi, I am very intrigued by your protocol, but in reading about GI Microb-x it is recommended to not take the product for more than 4 days, do you have any info about the safety of staying on it for 4 weeks? Hi becca, I’ve never seen that information. It definitely will not be effective unless taken for 3-4 weeks. I get my protocol info from the doctors at Designs for health as well as my colleagues. Hi! I am just curious, if you go through the steps, and kill off the yeast overgrowth, are you then safe to return to eating sugar and grains to a point or in eating those things, could the candida overgrow again putting you back at square one? Hope this makes sense! I can do the diet for a time and after could limit my intake, especially because I imagine I will feel so much better, but would really hate to exclude certain things for life. Thank you! Hi Mary! Thank you so much for this! I just wanted to confirm- would you start the biofilm disruptor while doing the diet? and then 2 weeks in begin the anti-fungals and herbs? Thanks! Audrey, yes, that is a solid plan and typically what I recommend. Hi Mary! One more question- I took the biocidin on an empty stomach before dinner last night and about 10 minutes after I took it I was violently several times throughout the night. Is this a typical recation? Audrey, no, that is not typical. I did not read All of the comments above…. Do you have a post for breastfeeding moms? Trying to fight Thrush in my baby and my feeders…..
Tina, you cannot take any of the herbs while breast feeding, but you can follow the anti-candida diet, and you would need probiotics. Just make sure you don’t restrict calories.